Taking the wildly popular Hero Type design in brand new direction is the Speed Suit 2.0 bodysuit. With integrated platform bootfeet in a two-tone jumpsuit design, the Speed Suit 2.0 is a fantastic starting point for anything from space adventurers or racing superstars. 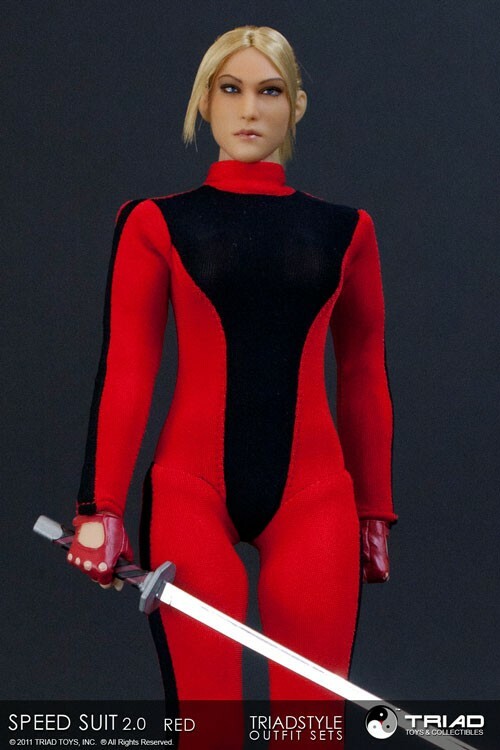 Made of a high quality 4-way stretch spandex material and fastened with a Velcro closure the Speed Suit 2.0 can fit a variety of 1/6 scale female action figures.